Joseph " Baby Joe " Robinson Sr.
On March 24, 1942, Joseph Robinson, Sr. was born to proud parents, Robert Robinson, Sr., and Katie Dotson Robinson, both of Tensas Parish. Joseph Robinson, Sr., lived in Tallulah, LA, where he married Alice Marie Robinson. Joseph Robinson, Sr., was preceded in death by his parents: Robert Robinson, Sr., and Katie Dotson Robinson; his wife: Alice Marie Robinson; his daughter: Shelia Rochelle Robinson; two sisters: Sylvia Robinson and Lizzy Riggs; six brothers: Jim Robinson, Clyde Robinson, Mose Robinson, David Robinson, Robert Robinson, Jr., and George Robinson, Sr. He leaves to cherish his memories: three daughters: Sharon (Derrick) Sims of Vicksburg, MS, Shirley (Frank) Williams of Tallulah, LA, and Elois Robinson of Houston, TX; seven sons: Joseph Robinson, Jr., of Plainview, TX, Michael (Brenda) Robinson, Sr., and Anthony (Tina) Robinson, both of Tallulah, LA, Mustafa (Luciana) Abdullah of Las Vegas, NV, Joseph (Terry) Gaines of Houston, TX, Anthony Wayne Gaines of Tallulah, LA, and Craig Robinson of Delhi, LA; one sister: Katie Farmer of Dallas, TX; and one brother: Johnny Robinson, Sr., of Lake Providence, LA. 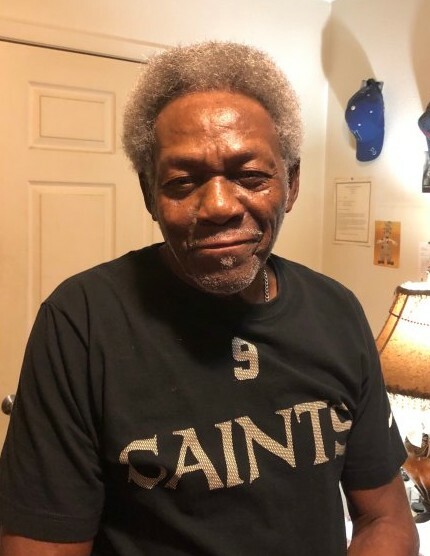 He had seven grandchildren he reared: Ashley, Alexis and Kenisha Robinson, Demetrius Jackson, Jakelia Lewis, Michael Robinson, Jr., and Mustafa (Lil Boo) Grey. Joseph also had 33 grandkids and 34 great-grandkids. He also leaves a very loving, special niece, Lashonda Wilkerson, and a special nephew, Calvin Robinson, as well as a host of nieces, nephews, and extended family, the Rack-em-up Pool Hall Family, and a special friend, Jessie Mae Harrison.